Wherever you go in the room, these speakers will sound crisp and clear—even if you’re behind them. Every beat is tight—you’re pulled into the gameplay and your music with the rich bass. Two auxiliary inputs let you listen to whatever you want—your gaming console, DVD player, iPod®, and more. 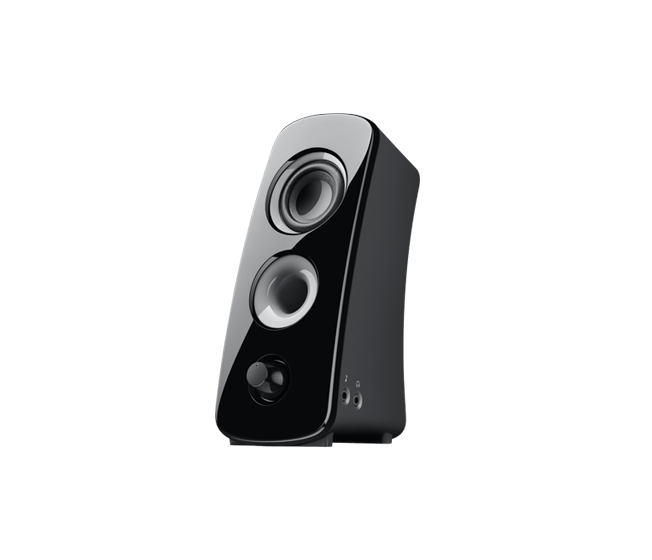 The speakers project sound evenly in all directions, so you enjoy rich, clear sound from any angle throughout the room.A 360-degree explanation of why you’re going to love 360-degree sound. 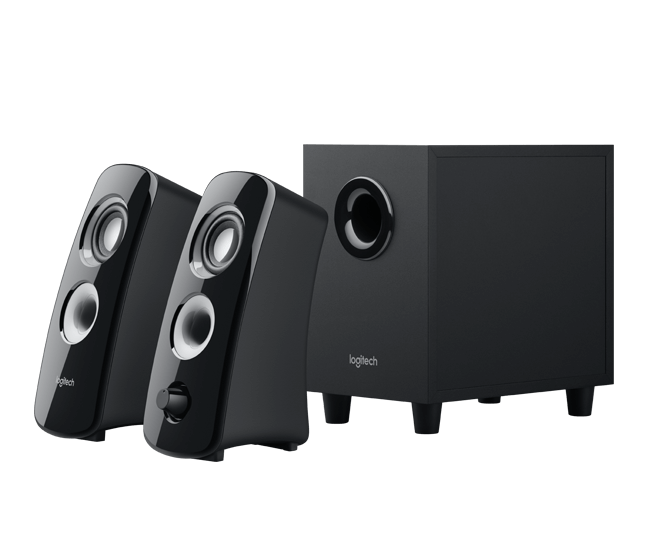 Your music, movies, and games come to life with the 10.2 cm down-firing subwoofer.Satellite? Subwoofer? So what? 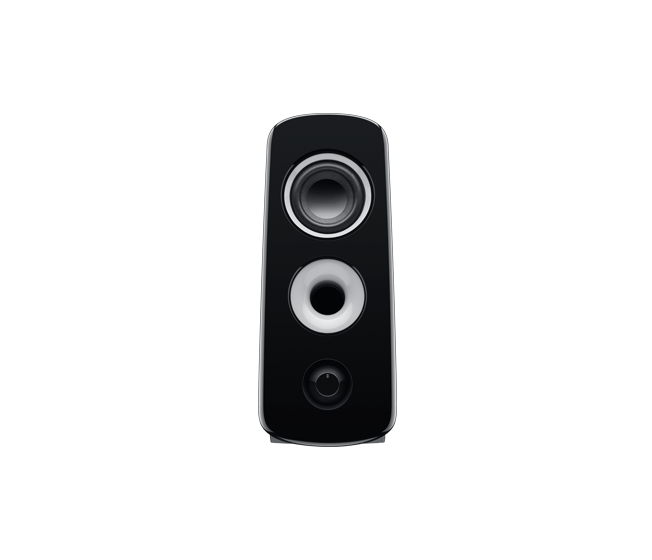 Learn more about speakers. RCA jacks and an auxiliary input make it easy to connect your Logitech Squeezebox™ network music player, gaming console, DVD player, or iPod®. When you want to listen privately, you just plug in your headphones. 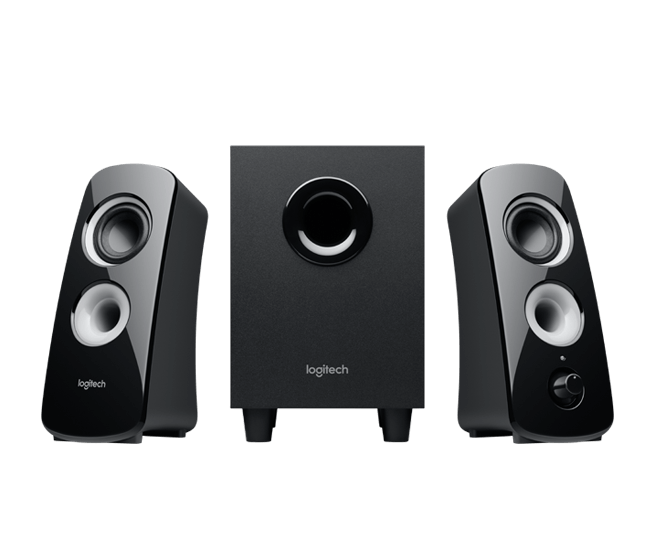 This system packs enough power to fill the room with big, bold sound.Watt? Learn more about audio terminology and what it means for you. Windows Vista®, Windows®7, Windows 8 or Windows 10.